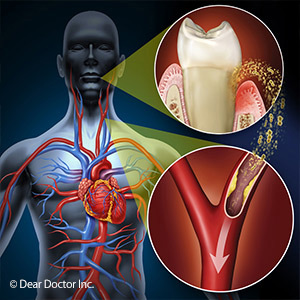 Periodontal (gum) disease can weaken gum attachment and cause bone deterioration that eventually leads to tooth loss. But its detrimental effects can also extend beyond the mouth and worsen other health problems like heart disease or diabetes. While the relationship between gum disease and other health conditions isn't fully understood, there does seem to be a common denominator: chronic inflammation. Inflammation is a natural defense mechanism the body uses to isolate damaged or diseased tissues from healthier ones. But if the infection and inflammation become locked in constant battle, often the case with gum disease, then the now chronic inflammation can actually damage tissue. Inflammation is also a key factor in conditions like heart disease and diabetes, as well as rheumatoid arthritis or osteoporosis. Inflammation contributes to plaque buildup in blood vessels that impedes circulation and endangers the heart. Diabetes-related inflammation can contribute to slower wound healing and blindness. Advanced gum disease can stimulate the body's overall inflammatory response. Furthermore, the breakdown of gum tissues makes it easier for bacteria and other toxins from the mouth to enter the bloodstream and spread throughout the body to trigger further inflammation. These reactions could make it more difficult to control any inflammatory condition like diabetes or heart disease, or increase your risk for developing one. To minimize this outcome, you should see a dentist as soon as possible if you notice reddened, swollen or bleeding gums. The sooner you begin treatment, the less impact it may have on your overall health. And because gum disease can be hard to notice in its early stages, be sure you visit the dentist regularly for cleanings and checkups. The most important thing you can do, though, is to try to prevent gum disease from occurring in the first place. You can do this by brushing twice and flossing once every day to keep dental plaque, the main trigger for gum disease, from accumulating on tooth surfaces. Guarding against gum disease will certainly help you maintain healthy teeth and gums. But it could also help protect you from—or lessen the severity of—other serious health conditions. What does November make you think of? Pumpkins? Turkeys? Dry leaves and frosty mornings? How about cigarette butts? If you’re wondering about the last item, remember that November 15 is the date of the Great American Smokeout—a day set aside for those who want to take the first steps toward quitting the tobacco habit. While the percentage of smokers in the U.S. has dropped to less than 16% in recent years, according to the American Cancer Society there are still some 38 million Americans who smoke cigarettes. Smoking causes over 480,000 deaths every year, and is the leading preventable cause of death in the U.S. Even if it doesn’t kill you, the effects of tobacco use can be devastating to your entire body—including your mouth. 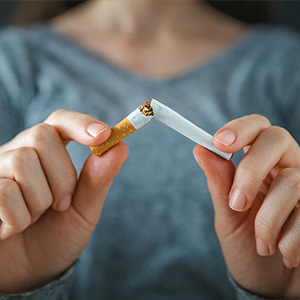 Whether you smoke cigarettes or use chewing tobacco, your risk of oral cancer is greatly increased, as is your chance of developing periodontal (gum) disease. What’s more, smoking can mask the symptoms of gum disease, so your condition is actually worse than it appears. Severe gum disease is one reason why smokers tend to lose more teeth than non-smokers. In addition, because smoking interferes with the natural healing process, smokers have a much greater chance of dental implant failure. Tobacco use also can lead to increased amounts of plaque, which results in tooth decay and other oral health problems. It also stains your teeth, reduces your senses of smell and taste, and gives you bad breath. Ready to quit yet? If so, there are lots of resources to help you on the road to a healthier life. The American Cancer Society, sponsor of the Smokeout, can help you make a plan to quit tobacco—and stay off it. It’s not easy, but over a million Americans do it every year. See their website for more information, plans and tips on quitting. Your health care professionals are also a great source of information and help when it’s time to get off the tobacco habit. Feel free to ask us any questions you may have. And here’s the good news: The moment you quit, your body begins to recover from the effects of tobacco use. In just one year, you’ll have cut your risk of heart attack and stroke in half. After 5 to 15 years, your risk of stroke, coronary heart disease, and several other conditions is the same as someone who has never smoked. When things get unpleasant in your mouth, it’s most often related to some underlying cause. In fact, the discomfort you’re feeling is often a call to action to have it checked and treated. 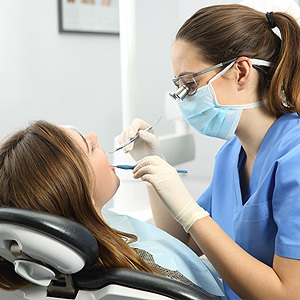 The American Dental Association recently surveyed approximately 15,000 U.S. adults about their oral problems. If you have any of the top 3 problems found in this survey, it could be a “warning bell” sounding in your mouth right now. Here, then, are the top 3 dental problems in America, what they mean and what you should do about them. #3: Tooth Pain. About a third of respondents (more among those younger or from lower-income households) indicated pain as a problem. As a warning sign of something wrong, tooth pain could be telling you that you have a decayed tooth, a gum abscess or something similar. The best thing to do is get a checkup as soon as possible. It’s unlikely that whatever is causing the pain will go away on its own and procrastination could make ultimate treatment more complex and difficult. #2: Difficulty Biting. A slightly higher number of people named difficulty chewing and biting as their main oral problem. As with tooth pain, chewing difficulty causes could be many: cracked, loose or decayed teeth, ill-fitted dentures, or a jaw joint disorder (TMD). Again, if it hurts to chew or bite, see a dentist. Besides the underlying problem, chewing difficulties could also affect the quality of your nutrition. #1: Dry Mouth. Chronic dry mouth garnered the highest response in the survey, especially among older adults. This is more serious than the occasional “cotton mouth” feeling we all experience—with chronic dry mouth the salivary glands aren’t producing enough saliva to neutralize mouth acid or fight disease, thus increasing your risk for tooth decay or periodontal (gum) disease. It’s most likely caused by medications or systemic conditions, so talk with your dentist or physician about boosting saliva flow. If you would like more information on comprehensive dental care, please contact us or schedule an appointment for a consultation. Along with daily oral hygiene and regular dental visits, a balanced and nutritious diet is another key part of great oral health. The foods you eat can have a profound impact on how well your teeth and gums withstand diseases like tooth decay and periodontal (gum) disease. At the heart of proper nutrition are organic compounds called vitamins. Along with trace minerals, vitamins help the body convert food into energy, repair cellular and tissue damage and protect against environmental toxins. When you don’t receive an adequate amount of each vitamin your health can suffer; in terms of dental health, your teeth and gums can weaken and become more susceptible to disease. Vitamins play a wide variety of roles, including within the mouth. The Vitamins A and C contained in fruits and vegetables and Vitamin E in vegetable oils are antioxidants that protect cells and their DNA from destructive elements in the environment. As such, they’re a major prevention factor against tooth decay and gum disease. Vitamin D, found in dairy products, eggs or certain seafood, is used by bone and teeth to absorb calcium. Without sufficient calcium, teeth and bone lose vitality and strength. This recognized power of vitamins for optimum health has also fueled the multi-billion dollar nutritional supplement industry. But studies show that your best source for vitamins are the foods you eat—and the more natural foods and less processed products you eat, the better your vitamin and mineral intake. 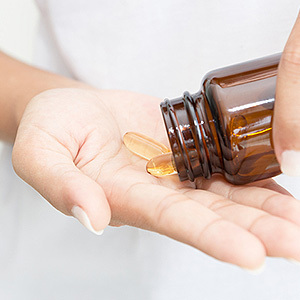 Taking supplements isn’t necessarily wrong—but it’s not in your best interest health-wise to depend on them for vitamins and minerals at the expense of healthier eating. So in all you do to prevent dental disease, don’t overlook your diet. The vitamins and minerals you receive from foods in their most natural state will help you keep your teeth and gums healthy and your smile beautiful. If you’re facing cancer treatment, we wish you the best outcome possible. Treating this disease has advanced tremendously in recent decades, but the available options are still often challenging to endure. It will be your primary focus for the foreseeable future. 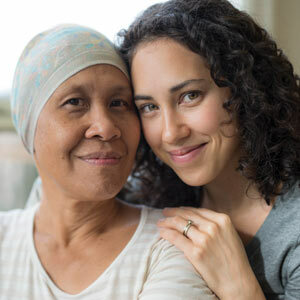 As a dental provider we also want you to be aware how the two main treatments, chemotherapy and radiation, could adversely affect your teeth and gums, especially if you’re receiving radiation therapy near the head and neck. The aim of cancer treatment is to attack and destroy cancer cells to prevent their growth. Unfortunately, it can also destroy neighboring healthy cells and lead to harmful consequences in different parts of the body, including the mouth. Salivary glands, for example, are especially vulnerable to damage during cancer treatment. This could create a situation where the mouth no longer produces adequate saliva flow, leading to a condition called xerostomia or dry mouth. Besides a lot of discomfort, restricted saliva flow can also increase your risk of tooth decay and other dental diseases. This is because saliva is the body’s acid neutralizer (acid can erode tooth enamel) and its first line of defense against microbial infection. To guard against this, it’s important to support salivary flow as much as possible if you experience dry mouth symptoms during treatment (as well as beyond—it’s possible the damage to these glands could be permanent). Since some medications also contribute to dry mouth, you should speak with your physician about the prescriptions you’re taking: if any have dry mouth side effects ask if there’s an alternative drug without these side effects. You should also drink more water during the day and especially when taking medications. And consider substances like xylitol gum that can help boost saliva flow. Unfortunately, it may not be possible to fully avoid the effects of these treatments on your teeth and gums. So, be sure you keep up daily brushing and flossing and see your dentist regularly for cleanings and checkups. If necessary, there are a number of restoration options to restore your smile after you’ve completed your treatment. If you would like more information on dental care during cancer treatment, please contact us or schedule an appointment for a consultation.